CooksRecipes has quality, kitchen-tested recipes for diabetic-friendly vegetarian dishes that you can count on for accuracy and deliciousness. 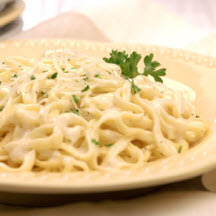 Don't hesitate to serve this creamy, low-fat pasta dish. 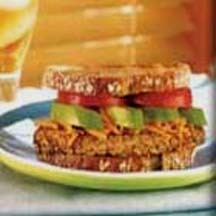 Stacked up high and filled with smooth avocado, juicy tomato, and creamy cheese, this power-protein sandwich is a South Beach vegetarian favorite. 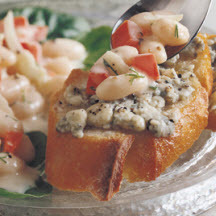 This beautifully presented salad combines cannelloni beans, tomatoes and garlic in a creamy mustard sauce.